Education in Gujarat, Gujarat Higher Secondary Education, Gujarat Education. Gujarat houses for many well known industries and colleges. District primary education program is launched by the state government in order to encourage compulsory and free education for the students. Institutes with national importance are located in Gujarat such as Indian Institute of Management, National Institute of Technology and National institute of design. Even research centers of excellence are also located in Gujarat such as central salt and marine chemicals research institute. The professional students of Gujarat are not only holding good position at state level but also in India and worldwide. Gujarat university is one to which most of the colleges are affiliated. Even many other universities are located like Saurashtra University and Sardar Patel University to which many agricultural colleges are affiliated. Get here some of the famous and prominent colleges of Gujarat. 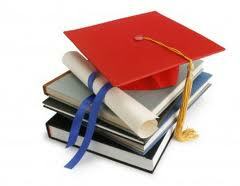 In Gujarat “Department Of Higher Education” manages under graduate and Post graduate level education. Universities in Gujarat offer higher education in the field like Humanities, Science, Commerce, fine arts, performing arts, Journalism and Mass communication, Medicine, Bio-chemistry, Economics, Micro-biology, Social work, Physical education, Languages, Law, Computer and others. Gujarati is used as the medium of instruction by state board affiliated schools in Gujarat. While by other boards English is preferred as the medium of instructions.